Gabonese President Ali Bongo Ondimba presided over his first cabinet meeting since returning to Libreville on March 23 after a five-month absence through illness. 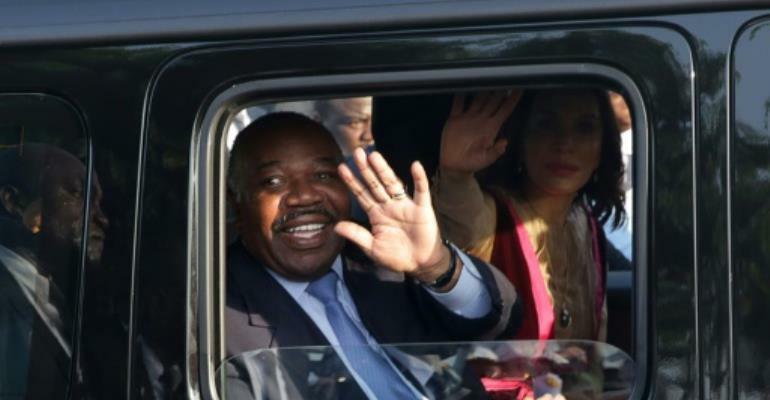 "I presided this Friday, March 29, in Libreville over the cabinet," tweeted Bongo. "Several important texts were discussed. I used the chance to remind members of the government of my demands -- action in the service of the Gabonese people. Efficiency. Results. Let's speed things up," Bongo wrote. His office meanwhile released pictures and video footage of the meeting showing the president clad in a djellaba gown and turban, supporting himself with a cane as he talked with ministers. "He is on form. He led the cabinet meeting with panache and even humour," said Finance Minister Jean-Marie Ogandaga. Bongo flew back into Libreville last Saturday, accompanied by his wife Sylvia, to be welcomed by Prime Minister Julien Nkoghe Bekale and senior government members. Several thousand people also turned out at the airport to greet Bongo, who suffered a stroke on October 24 while visiting Saudi Arabia. He had in the meantime only made two very brief visits to Gabon, undergoing convalescence in Morocco. His long absence stoked concern about a power vacuum, apparently sparking a brief attempted coup by renegade soldiers on January 7. Some opponents on Thursday urged a judicial enquiry into Bongo's state of health to determine if he retains the capacity to lead the country. If not, they say an election should be held to replace him.